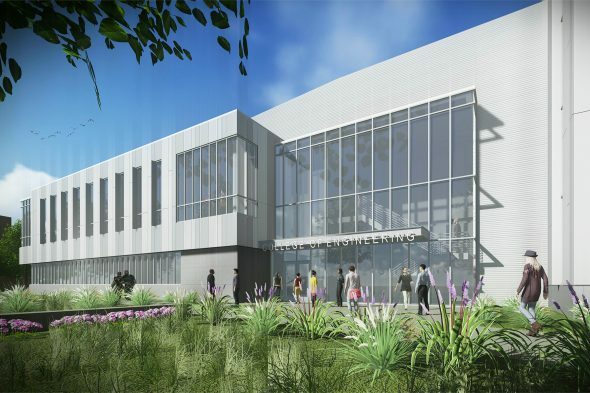 Faculty, staff and students will join elected officials and guests of the University of Illinois at Chicago College of Engineering at a groundbreaking ceremony for the Engineering Innovation Building. 1135 S. Morgan St., near the corner of Morgan and Taylor streets. Enrollment in the College of Engineering has nearly doubled over the last decade, and to accommodate the growth, a new 50,000-square-foot building will be constructed to house three departments: chemical engineering; mechanical and industrial engineering; and civil and materials engineering. The new Engineering Innovation Building will have space for labs, classrooms and offices for faculty and staff. 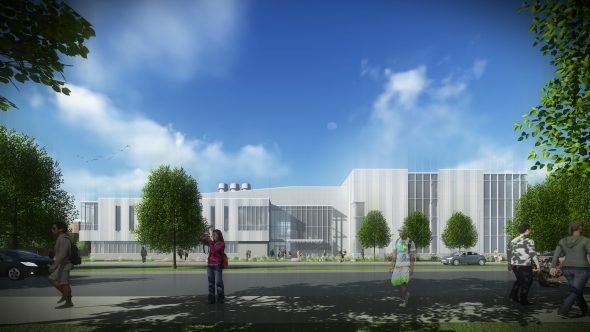 The department of chemical engineering will move their offices from their current home located off campus, east of the Dan Ryan Expressway, to the new building, which will also house the campus’s first high-bay structural research lab, where researchers can carry out a wide range of tests on large-scale structural components. The building is scheduled to be completed in 2019. “A significant part of our goal is to build UIC College of Engineering into one of the top 10 public, urban engineering colleges offering access to excellence and success to as many students as possible,” said Peter Nelson, dean of the College of Engineering. “While demand for an engineering education is up everywhere, the demand for UIC’s College of Engineering has outpaced national growth. 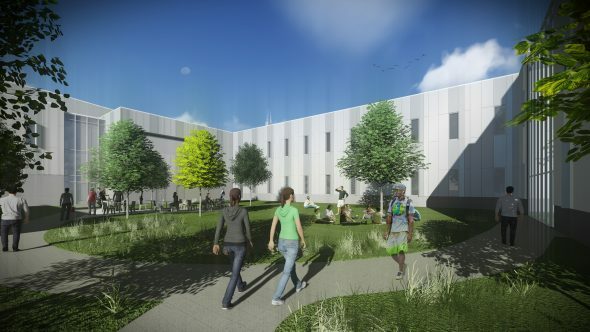 A second engineering building — the Computing, Design, Research and Learning Center — is being planned and will house the department of computer science, classrooms, interactive learning spaces and computing research labs. The Engineering Innovation Building will be the first new academic building on the east side of campus since 1991.